Will Gaslamp Assault Suspect Get 3rd Trial in Deputy Shooting? A judge Tuesday put off a decision on whether to dismiss assault charges against a man accused of shooting an off-duty sheriff’s deputy and a passer-by in the Gaslamp District following a Metallica concert last year at Petco Park. A jury in July deadlocked 11-1 in favor of convicting 38-year-old Ray Pitoau on three counts of assault with a deadly weapon. Pitoau was found guilty of being a felon in possession of a firearm, carrying a loaded firearm in public and carrying a concealed firearm. Last Friday, a different jury said it couldn’t resolve the case, with four jurors voting guilty and eight voting not guilty. Deputy District Attorney Michael Reilly told Judge Melinda Lasater that community interest would be best served by presenting the case for a third time and getting a verdict. 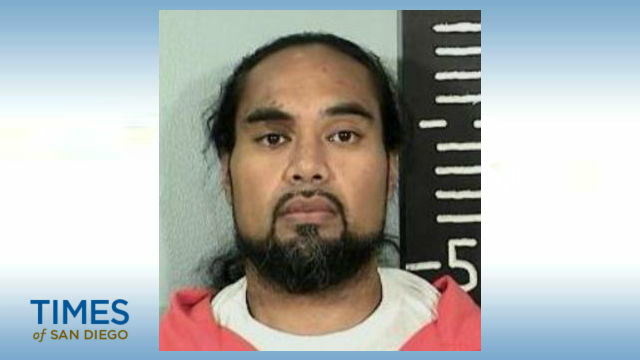 The prosecutor said authorities are trying to locate Emory Zinga, a friend of Pitoau’s who was with the defendant the night of the Aug. 7, 2017, shooting. Pitoau testified that he grabbed a gun from Zinga in self-defense because a group of men, including off-duty sheriff’s Deputy Jason Philpot, were advancing on him. Prosecutors said Philpot, his two brothers and two off-duty Escondido police officers walked past Pitoau on Island Avenue near Sixth Avenue just after 1 a.m., and Pitoau and Philpot’s younger sibling Joshua traded insults. Pitoau allegedly pulled out a gun and pointed it at Joshua before the deputy charged the defendant, according to the off-duty lawman. Jason Philpot — an 11-year veteran of the Sheriff’s Department — testified that he tried to wrap his arms around Pitoau and get the gun away, but the defendant was able to pull the trigger, wounding the deputy in the upper chest and right arm. A second round also passed through his right arm. One of the rounds ricocheted off the sidewalk and struck Vladimir Shvets, a passerby in San Diego for a convention. Reilly told the jury that Pitoau – sitting on a rail in front of a barbecue restaurant — had words with Joshua Philpot when he walked in front of the defendant. Lasater scheduled a Nov. 27 hearing to announce her decision on whether to dismiss the unresolved counts and to sentence Pitoau on the three weapons charges. The defendant faces up to 29 years to life in prison on those counts, Reilly said. If convicted of assault charges at a third trial, Pitoau would be facing a maximum of 91 years to life behind bars, according to the prosecutor.